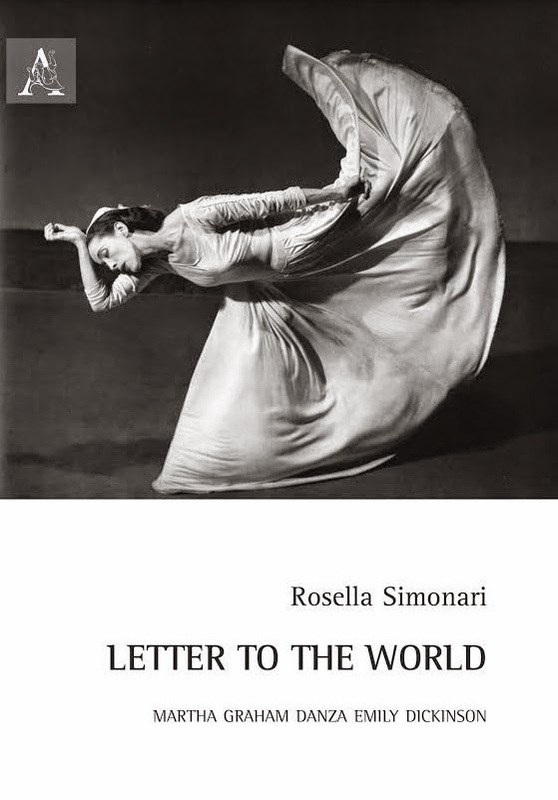 Letter to the World (1940-41) is a little-known choreography Martha Graham dedicated to Emily Dickinson. Studying documents of various kinds (written, oral, audiovisual), Rosella Simonari intends to reconstruct it and place it in its context according to a cultural historical perspective which includes microhistorical and choreutic analysis. The result is powerful and unusual for the time, as Dickinson's poems were still published in an altered form with respect to the original and criticism on her was not fully developed. From this study different little-explored if not ignored aspects of Graham's work emerge, like her fascination with the Virgin, the importance of Puritanism and the "journey motif", that is the obstacle-filled path that the artist goes through to complete his/her work. We find these aspects in other Graham's dance pieces (such as Primitive Mysteries, Frontier and Errand into the Maze) and in those of other choreographers, writers and intellectuals, like Doris Humphrey, William Carlos Williams, Frederick Jackson Turner and Joseph Campbell.